Success Story: Lindsay Refused to Admit Defeat and Conceived Naturally! Home → Fertility Herbs → Success Story: Lindsay Refused to Admit Defeat and Conceived Naturally! My husband and I met in 2009. I had been diagnosed with PCOS at the age of 21 and had given up any hope of ever having a baby. I tried to be okay with helping to raise my step-daughter, but I really, truly wanted a child of my own and knowing her made that desire all the stronger. We decided pretty quickly to stop using BC and see what happened, but it was pretty obvious to me that nothing was happening. I started tracking what cycle I had and using natural medicine, including Vitex, Red Raspberry and other traditional herbs, but still nothing happened. After 7 years of trying, I was ready to give up and admit defeat. We didn’t have the money for IVF and I refused to take money or resources away from my step-child in the hopes of maybe having a baby of my own. I told myself I would try one more time and if it didn’t happen, I was done. I heard on the Natural Fertility Youtube channel that one of the fertility superfoods was Royal Jelly. I bought a bottle in November of 2015, figuring I had nothing to lose. On New Years Day 2016, after less than 2 months of using Royal Jelly alongside the herbal support, I took the last pregnancy test I had in the house. My reasoning was a) what better time to end this journey than NYD and b) I had been feeling really weird in the past few weeks. I about had a heart attack when I saw the first positive pregnancy test in my entire life. My baby boy was born August 7th, 2016. He is 8 weeks old and I call him my miracle. He is the light of my life. After 13 years of infertility and 7 years of TTC, I know I could not have lasted on this journey, let alone succeeded in my quest, without the support of both the website and the Youtube videos. My family is complete, I have my daughter and my son. I believe that the herbal support made the most difference. I used Vitex consistently, as well as Red Raspberry leaf. But the one product that made the most difference to my fertility was Royal Jelly. I got pregnant within 2 months of beginning to take it. There is always hope, even when it seems hopeless. If this is truly what you want, don’t be afraid to fight for it and advocate for yourself. It’s ok to lose it and cry and be mad and feel everything that comes with this journey. And it’s ok to continue to pick yourself up and dust yourself off and try again. How are you and your baby doing now? How old is your baby now? : My baby boy is 8 weeks old now. He was born 5 weeks early and spent 2 weeks in the NICU. I can’t say the journey has been easy, but I wouldn’t change a single thing. He is truly the light of my life and has been a joy to our entire family. He is the first grandson on either side and I can honestly say he makes all of us appreciate life that much more. hello. how do i use the products ? how do i get them ? Each product we support and sell does have a specific use. That said, what worked for Lindsay may not be best or all that you need to support you. We have a talented team to work with you, contact us here…. 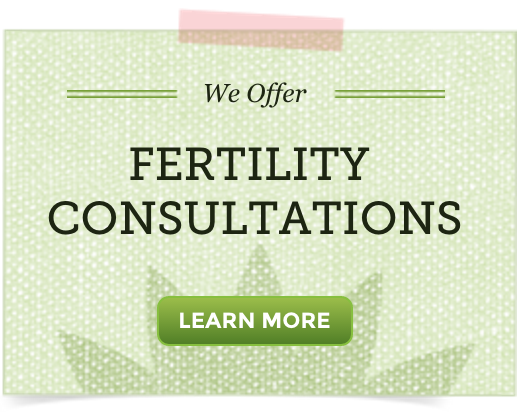 If you are interested in Fertilica brand products, please also visit the Natural Fertility Shop.